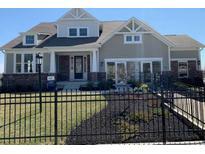 Below you can view all the homes for sale in the Lochaven subdivision located in Noblesville Indiana. Listings in Lochaven are updated daily from data we receive from the Indianapolis multiple listing service. To learn more about any of these homes or to receive custom notifications when a new property is listed for sale in Lochaven, give us a call at 317 979 0009. Former model home with curved staircase and pond lot. MLS#21631053. CENTURY 21 Scheetz. Yard is complete w/invisible fence and irrigation, even in the flower boxes! MLS#21629873. F.C. Tucker Company. Owner would consider a possible Lease w/ Option. MLS#21627448. Midwest Home Source, Inc.. Resort amenities w/parks pools, summer concerts, tennis & best walking trails around. MLS#21628881. F.C. Tucker Company. Basement is perfect hangout or man cave and features 4th bedroom and full guest bathroom! MLS#21623989. Nest Real Estate. Oh, did I mention the beautiful patio in spring/summer surrounded by perennials...A RARE FIND close to everything! MLS#21620015. Carpenter, REALTORS®. Live the Lochaven Lifestyle!Combine these amenities with those in your richly appointed home:A gourmet, stainless steel kitchen with upgraded cabinets and granite tops; hardwood floors; arched openings; trey ceilings; bay windows; oil rubbed bronze fixtures; a luxurious master bath; fireplace; custom recessed can lights; and a special one year warranty from the seller! MLS#21619561. F.C. Tucker Company. 3 car attached garage and convenient to all schools, shopping & entertainment. MLS#21618681. RE/MAX Edge. Close to schools, dining and shopping! MLS#21618114. RE/MAX Complete. Outside deck and 3 car garage too! MLS#21614853. F.C. Tucker Company. Built-in sound syst w/intercom. workshop in basement. MLS#21606683. Thorpe Real Estate, LLC. Brand new furnace installed March 26, 2019! MLS#21604053. Patty Thornberry. Custom features throughout this amazing home. MLS#21559752. RE/MAX Ability Plus.